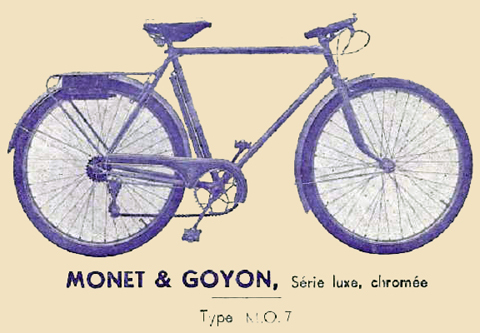 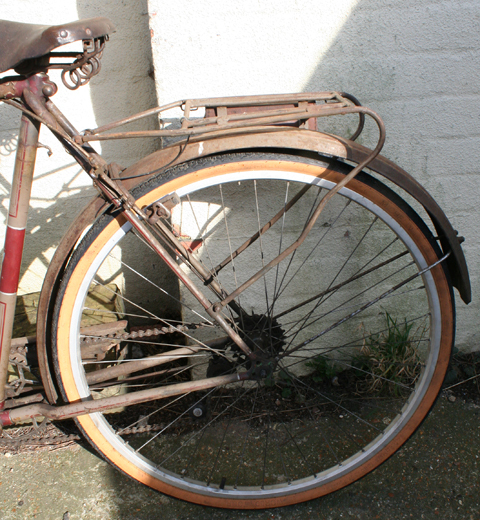 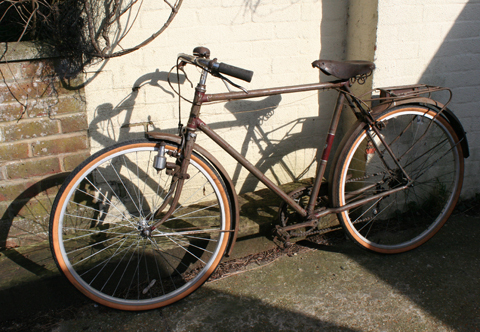 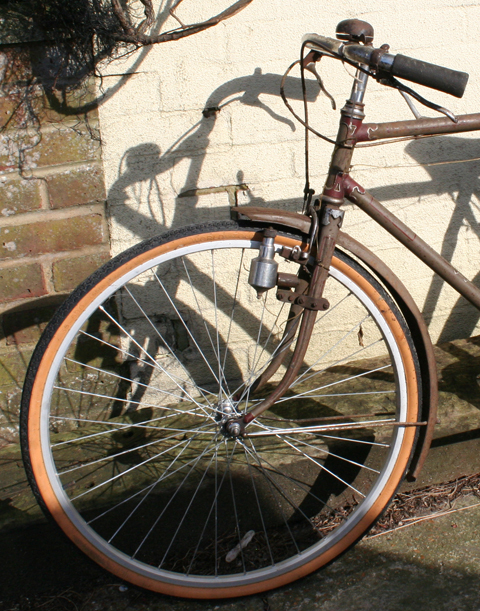 I’m not sure of the year of this Monet Goyon bicycle. 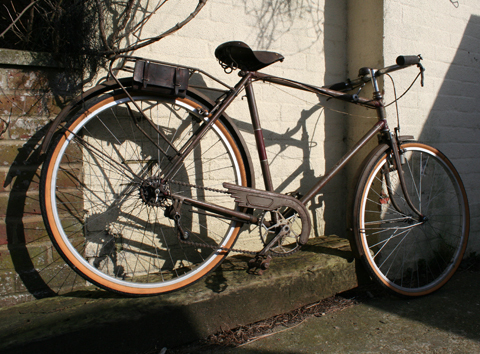 The advert below shows a very similar model, except for the chaincase; it’s the closest I’ve found so far. 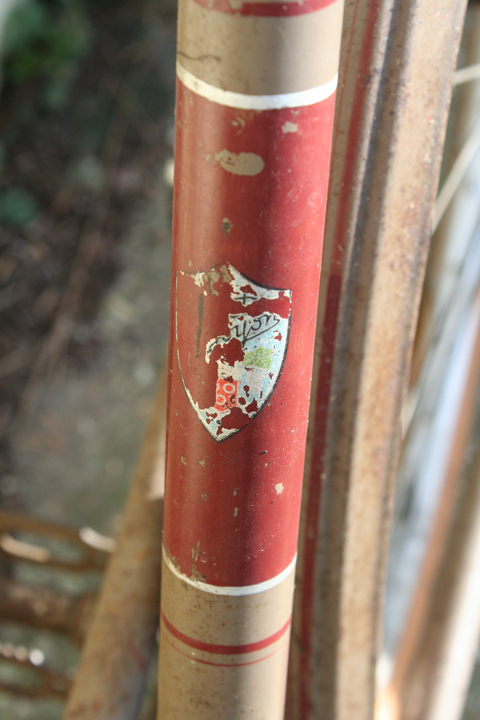 If I find further information that clarifies it further, I’ll amend this page accordingly. 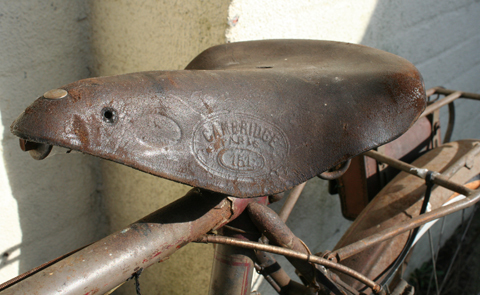 The MG has some very fancy lugwork, a style which was fashionable at the time. 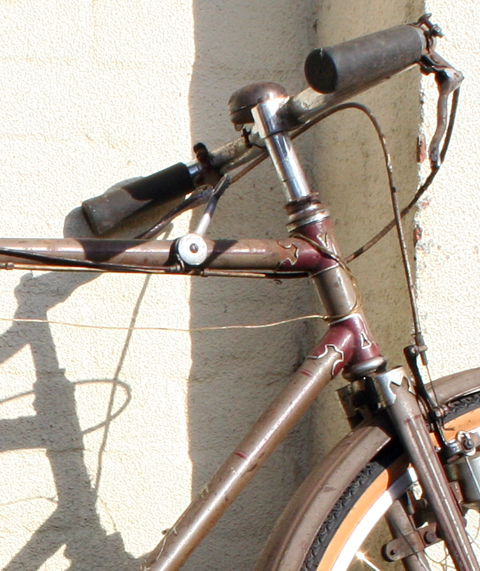 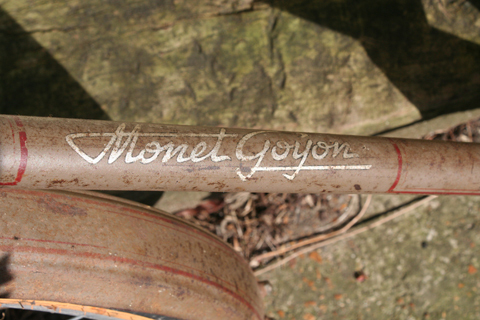 As you can see, the paintwork is original, and still sports the Monet Goyon signature. 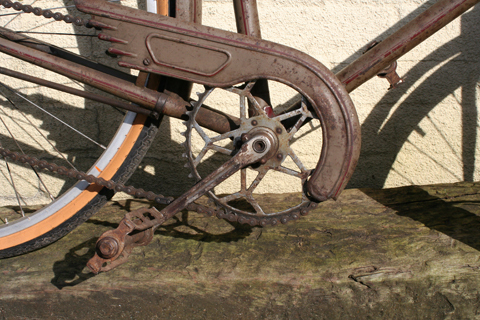 It’s an attractive ‘fishtail’ style of chainguard. 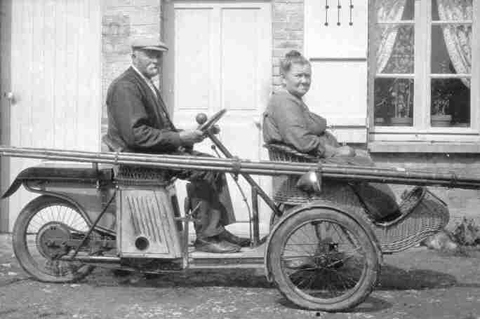 Their first engine, in 1919, was a 117cc autowheel, which they also used in their Automouche and Vélauto three-wheeled scooters up to 1925 (above). 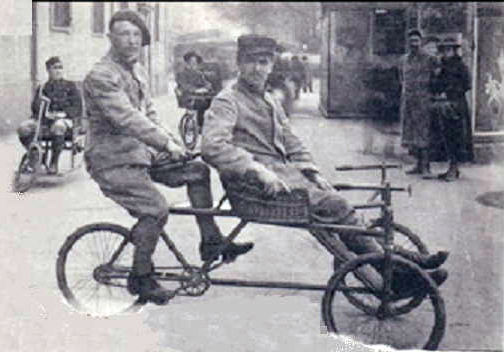 This was sometimes proclaimed as the World’s first scooter (1919), though it wasn’t: the American 1916 Autoped was actually the first. 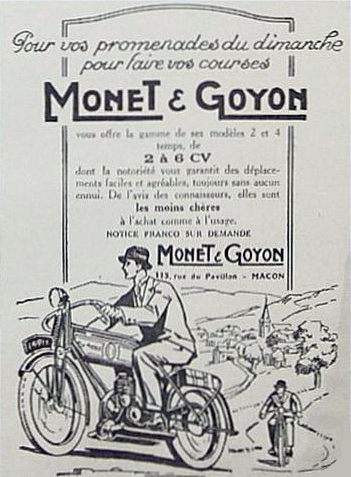 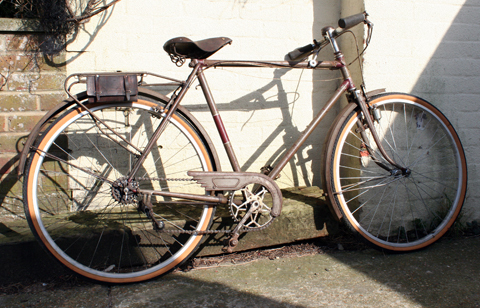 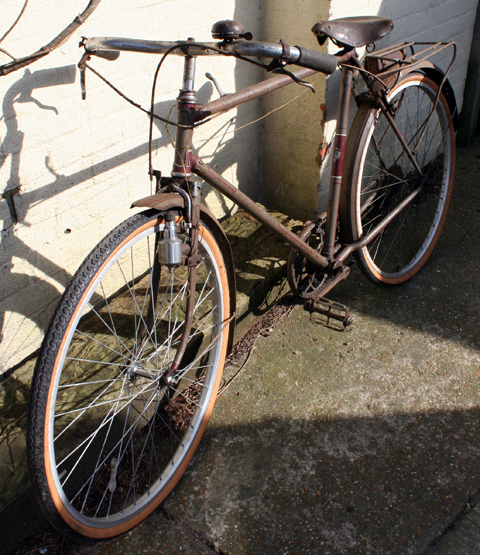 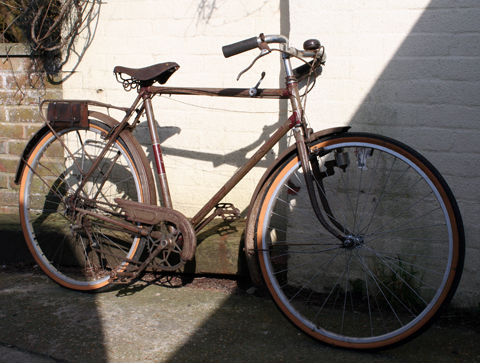 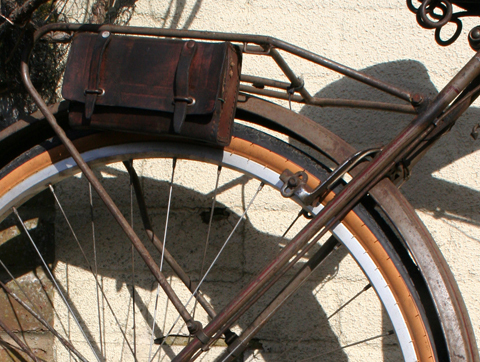 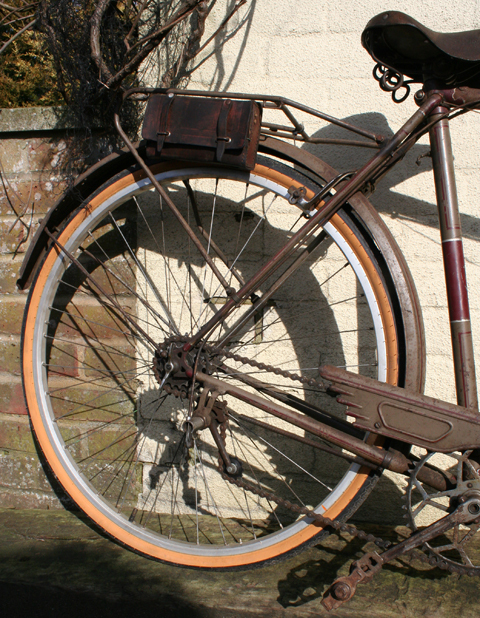 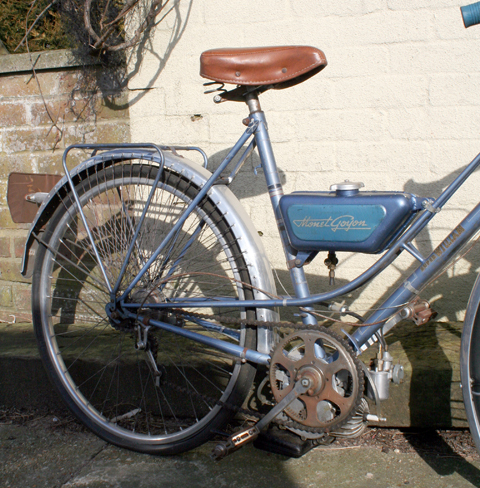 Below, you can see an example of the first postwar ‘moteur auxiliaire’ a Monet Goyon Motorox.